During this year of two major eclipses, the moon has become a source of fascination to me. 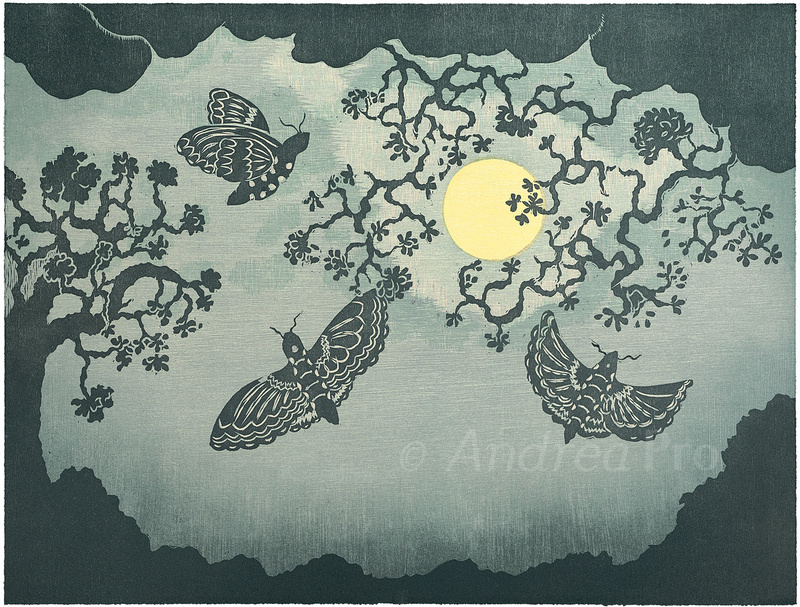 I was inspired to imagine our precious Blackburn’s Sphinx Moths flying in the interplay of soft moonlight, patches of clear sky and the sculptural beauty of clouds. The Blackburn’s Sphinx Moth, native to Hawaii, has a wingspan up to 5 inches wide and is the first insect in the state to be protected as an endangered species. Printed on Rives French paper with deckle edges.